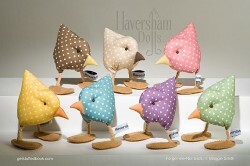 Get Stuffed shop open, and free UK delivery. After several months beavering away behind the scenes it is with great relief that I can finally announce that the online shop is open for business! The shelves are a little bare at the moment but future plans include offering creative and quirky hand-made gifts designed and made by myself, art work and stitch kits, so please keep checking back. Currently available to purchase however are both my books, Get Plastered: plaster, print and stitch, and the latest Get Stuffed: shape, stuff and stitch and as an introductory offer UK delivery is free! If you experience any problems when using the shop please do leave a comment below, or get in touch with me directly. 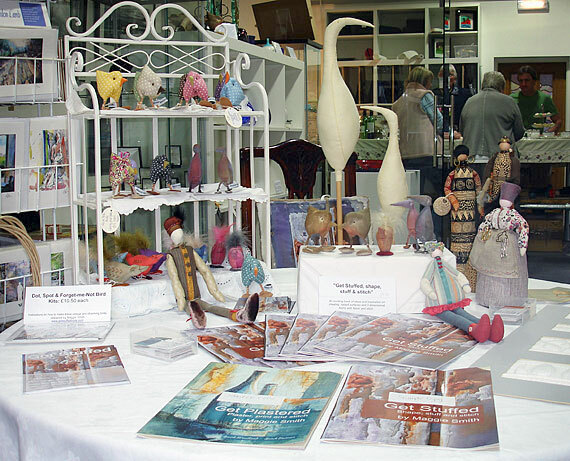 I shall be at the North East Regional meeting of the Embroiderers’ Guild at Emmanuel College, Gateshead on Saturday 19th May displaying samples from the new book, ‘Get Stuffed’, and selling books and birds. Thanks to all those who came on Sunday to the “Get Stuffed: Shape, Stuff and Stitch” book launch at Crushed Chilli gallery, and thanks to gallery owner Janet and gallery manager and cake maker Karen for making it such a success. The sun shone, we had yummy cakes and tea with lots of good company, happy chatter and book signing. The Get Stuffed book is now available for sale at the gallery along with Bovver Birds (with big boots!) and Dot, Spot, Forget–me–Not birds and kits. This coming Sunday the 6th of May, from 3pm to 6pm, I will be officially launching my latest book Get Stuffed: Shape, Stuff and Stitch at the Crushed Chilli gallery in Durham. 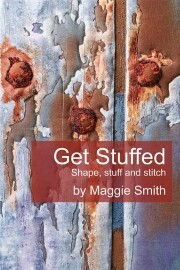 Written for both the beginner and experienced maker, Get Stuffed: Shape, Stuff and Stitch brings a fresh approach to quilting and applique techniques through the use of structured and creative hand-stitched detail, to inspire you to create stunning 2D and 3D work. “Stuffing” is used in its widest sense, encouraging you to explore both traditional and unconventional methods and materials. 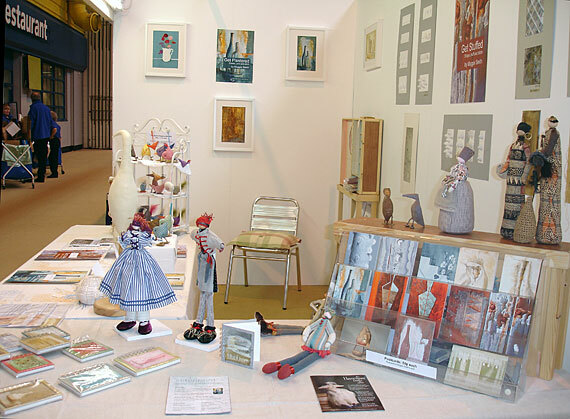 From textured, raised pattern, dimpled with exquisite stitches, painted and varnished surfaces using mixed-media, to 3D stuffed birds and characterful dolls, I hope the inspirational samples and colourful photography will motivate you to get started and enjoy Getting Stuffed. As well as a chance to meet the author and buy a signed copy of Get Stuffed: Shape, Stuff and Stitch many of the samples created for Get Stuffed will be on view, and you will be able to purchase kits for making my original “Dot, Spot, Forget-me-Not” birds. Come and join us for this one-off event on Sunday the 6th of May, between 3pm and 6pm, and enjoy a convivial afternoon at the delightful Crushed Chilli gallery. 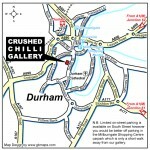 Located in the centre of Durham City, Crushed Chilli is Durham’s newest art gallery and is also a working glass studio.